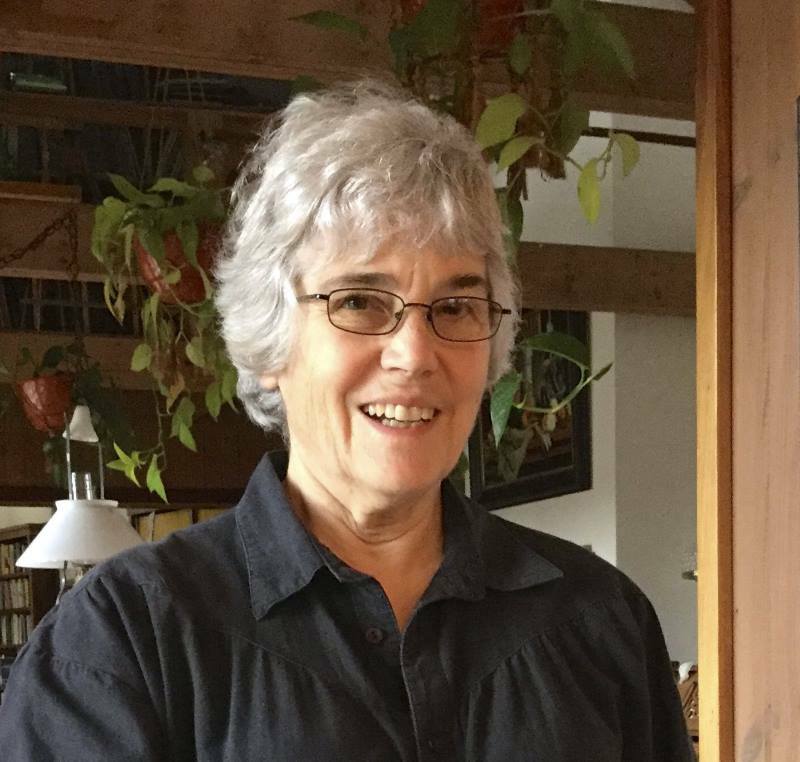 Sharon Auberle is the featured poet at the November 10th Dickinson Poetry Series sponsored by the Unitarian Universalist Fellowship, Ephraim. Auberle grew up in the Midwest, exploring fields, woods and waters, often in the company of her grandfather, who passed his love of the outdoors to her. 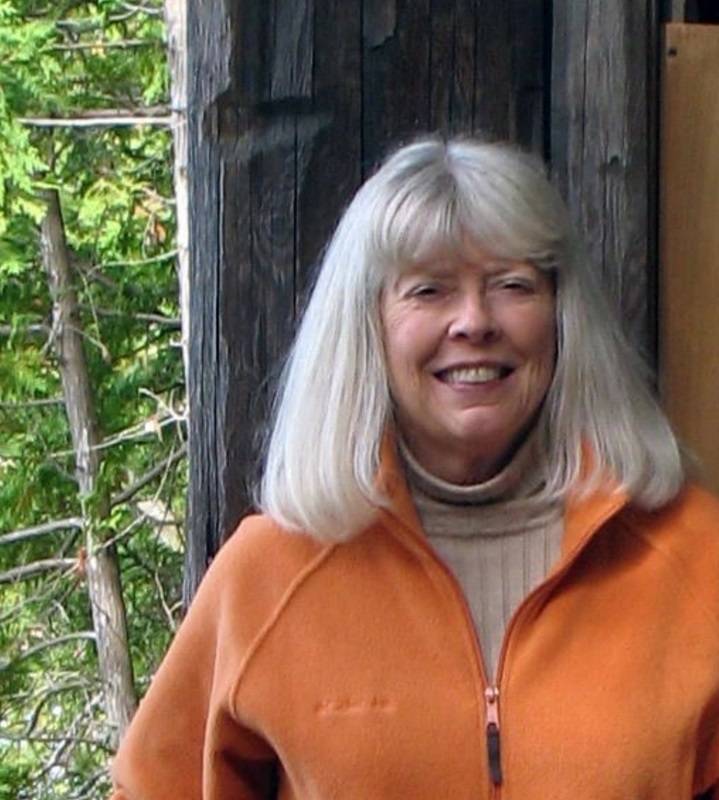 With this heritage, her years of living in the Southwest, and now in Door County, she finds much to draw on in her writing. When not writing, she may be found hanging pictures and poems at her website—Mimi’s Golightly Café. 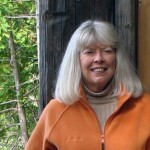 Her writing has appeared in numerous publications, as diverse as Earth’s Daughters; The Wisconsin Fellowship of Poets Calendar; Lilipoh; Hummingbird; Fox Cry Review and Verse Wisconsin. She has been nominated for a Pushcart Prize, and included in a number of anthologies, such as Woman Prayers; Literary Lunch; and the Nature of Door. Auberle has been a frequent contributor to numerous on-line magazines: Quill & Parchment; Sketchbook—a Journal of East & West; Your Daily Poem; and Haibun Today, to name just a few. Auberle also enjoys photography, collage, and painting, and her artwork has been published in on-line magazines, as well as included in several local exhibits. Writing, however, is her first love, and poetry in particular. She is the author of two books: Saturday Nights at the Crystal Ball: a memoir in poetry; and Crow Ink, a collection of her poems and photographs. Auberle has also recently ventured into the world of recorded poetry, with the release of her first CD: Something After Burning. The CD was recorded with background music provided by some of Door County’s finest musicians: George Sawyn; Lynn Gudmundsen; and Lloyd Michaelsen. A new book with the same title will soon be forthcoming. An open mic will follow Auberle’s reading November 10th providing an opportunity for others to share their work. The free monthly Series begins at 7 PM and open to all who love poetry. The UU Fellowship is located at 10341 Hwy. 42, Ephraim.